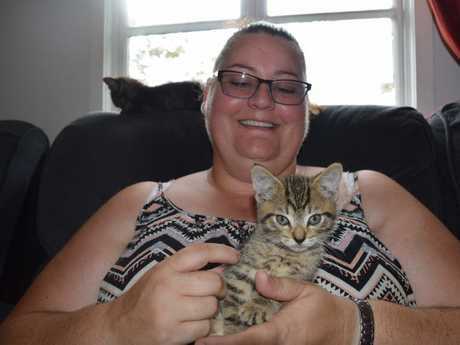 IT WAS a detour around a tragic crash near Gunalda on Sunday that lead Sonja Prytz to find three kittens, believed to have been dumped in the middle of the road. The Burrum River woman Sonja said she would never have found the tiny creatures if she had driven along her usual route home from Brisbane over the weekend. After a horrific crash that claimed the lives of two children and one adult, all from Brisbane, on Sunday morning, a stretch of Bruce Hwy was closed for more than eight hours. While driving along the alternative route inland, Ms Prytz said she saw a small, furry figure in the middle of a stretch of road near Tiaro. "I thought I saw some birds on the road so I slowed a bit and they didn't fly off," Ms Prytz said. "I saw that it was a kitten when it rolled onto the road so I pulled over and they took off to the bush. I put the hazards on and picked them up, I didn't want to leave them there. "They were really hungry, they were crying for food." 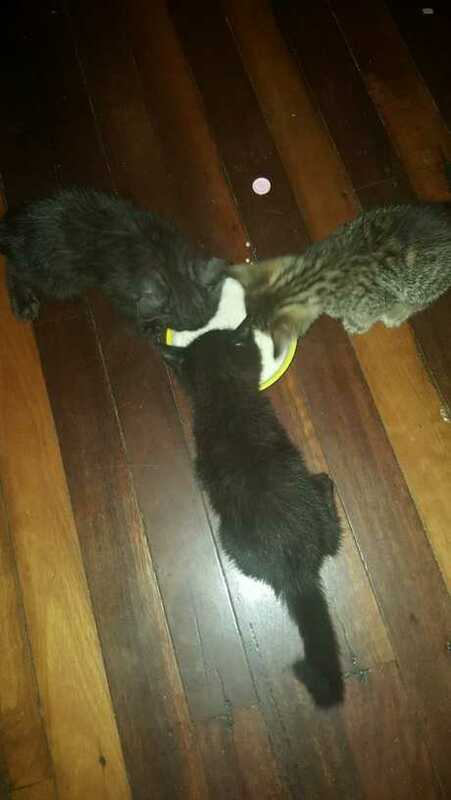 Owning animals herself, Ms Prytz fed the animals some kitten milk, and has decided to foster them until they find forever homes. "They need to be desexed to stop this cycle," she said. "Dumping animals is just wrong."